European Bike touring at its best....Cycle from Spain to France and into Italy in the footsteps of Hannibal, one of history’s greatest military commanders. 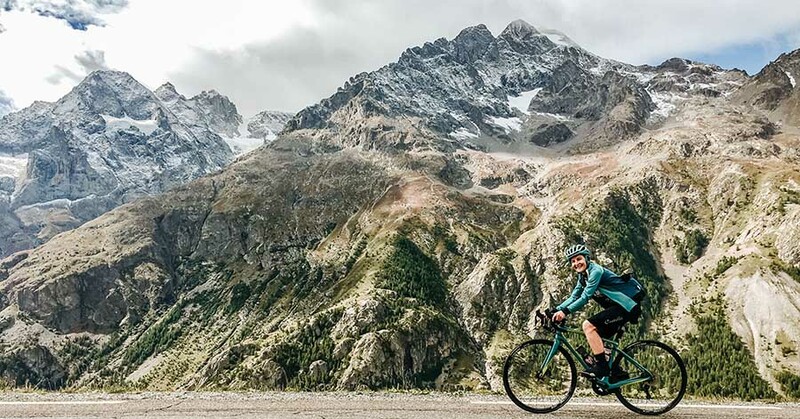 From Barcelona to Rome, experience some of Europe’s most beautiful and breathtaking routes and infamous climbs. 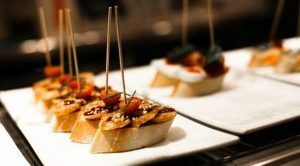 Dive into the diverse gastronomy of Spain, France and Italy, cultures famous for their cuisine. Sommeliers, picnics sourced from local fromageries, boulangeries and boucheries, and hand-picked restaurants will excite your taste buds daily. Immerse yourself in the landscape, history and culture of the places we visit as we ride this inspirational trail. The terrain is best seen from the small roads we hand pick, maximising cycling pleasure and safety. 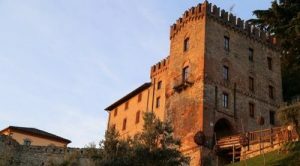 Staying in monasteries, castles and agriturismi you will relax and refresh each evening in unique and exceptionally interesting places with a masseuse on hand. In 2019 we have fully updated the route. We created this route for the BBC back in 2009 and have run this tour since 2012 - it is an amazing journey. However, it was time for an update so we have reviewed, re-shaped, revamped and rescouted every section of the journey - routes, restaurants, sites and experience. There are better locations to visit - Florence, Siena, Cortona and Les Plus Beaux Villages de France such as La Grave. Better roads to ride - Col du Télégraphe, Lacets du Montvernier and more of the Chianti hills and Val d'Orcia. Better food to eat - Michelin star restaurants in France and Italy. Better rest days - UNESCO Carcassonne, Villa Sparina, Renaissance capital Florence. 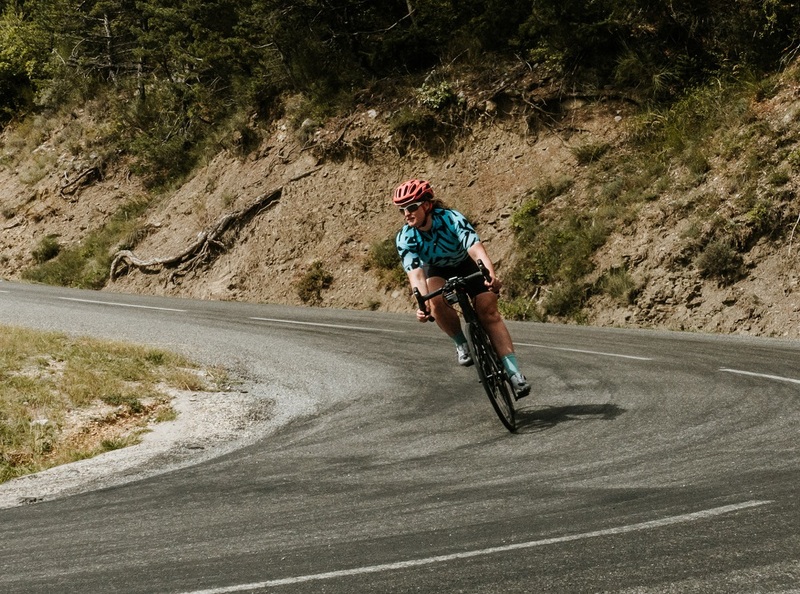 More optional cycling challenges - A 5 day Pyrenean start for the climbing keen and at the opposite end of the scale a full non-rider partners itinerary. Lastly, better history - In consultation with the L'Association HANNIBAL BARCA we have adjusted our route - we now ride ever closer to Hannibal's route - our Apennine crossing now reflects this and as ever you will have archaeologist Sam Wood's Hannibalic story telling to accompany your journey. Sam is the founder of Bike Odyssey. He is a Roman archaeologist by trade and worked in Pompeii and for the British Museum, London before cycling historical trails to create documentaries for the BBC. He created 'On Hannibal's Trail' for the BBC in 2010. He has now has now run it as a guided tour for the last 7 years as it was too good not to share! Start the tour by descending from the Montseny National Park at 1000m elevation all the way down to the Mediterranean! Exceptional Catalonian hilltowns as we ride north towards the lower Pyrenees. Experience the essence of the road less travelled as we cycle tour through Cathar country past Chateau Queribus and Peyrepertuse. A gastronomic Odyssey as we traverse from Catalonian Spain over the Pyrenees through southern France. A wine connoisseurs dream as we ride between the vines of some of European's great wine producers. This alternate Pyrenean Stage 1 runs at the same time as the Stage 1 Barcelona departure. This option is for the serious climbers. A true climber's start to Hannibal as we take on the best the Pyrenees has to offer - Col de Pourtalet, Col d'Aubisque, Col du Soulor, Col du Tourmalet, Col d’Aspin & Col de Peyresourde. Spectacular scenery throughout, compare the rugged beauty of the Pyrenees to the peaked majesty of the Alps! Tour de France routes many times over including in 2018 all the way to Carcassonne. Cathar country past another of their amazing fortresses Chateau Montségur. Start in UNESCO heritage listed Avignon, once home to the Popes and location of the stunning Papal Palace. Ride into the Alps on Hannibal's trail and find out why and how he crossed this immense mountain range. 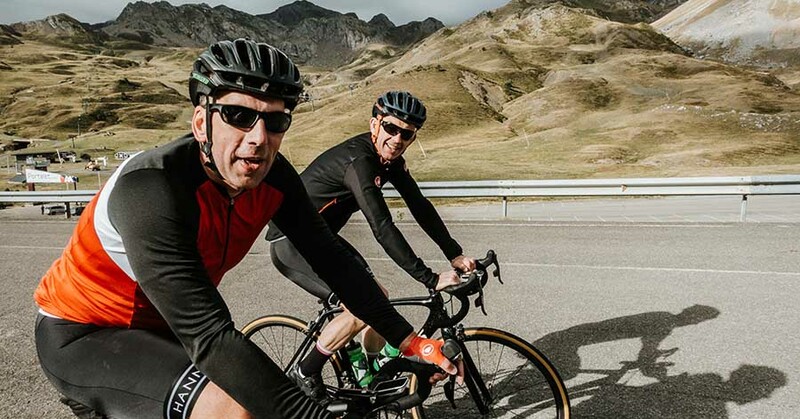 Iconic climbs through the Alps - Mont Ventoux, Alpe d'Huez, Col du Galibier, Col d'Izoard and now NEW IN 2019, the option of Col du Télégraphe, Col de la Croix de Fer and Col du Glandon. NEW IN 2019 an interlude in the stunning 'Les Plus Beaux Villages de France' La Grave and one of our favourite hotels with access to some of the best riding in the Alps and also one of its best wine lists! NEW IN 2019 - Michelin Star dining in the Alps then ascend France's Col Agnel (2744m) and then descend 50km down into Italy! Italy's most renown regions - Piedmont, Emilia Romagna, Tuscany, Umbria and Lazio. New IN 2019 we now take Hannibal's most likely route over our 3rd mountain range the Apennines! Sleep through history with castles, monasteries and borgo’s among our accommodation choices. NEW IN 2019 Tuscan and Umbrian hilltown gems - UNESCO recognised Siena, exceptional Cortona, Idyllic Pienza and Umbrian's best - Todi. Compare the finest of Italy’s wine – Barolo or Brunello? Italian's finest gastronomy through its most famous foodie regions. NEW IN 2019 Atmospheric Lake Trasimene explored with local experts where Hannibal's superior tactics destroyed a complete Roman army. Cycle into the heart of Rome along the banks of the River Tiber. Some couples have a partner who thinks cycling is just downright not for them! Fair enough, but why not still enjoy a holiday together? One on a bike while the other enjoys the cultural side of things – guided tours, village wanders, tastings (olive oil, wine, cheese…. ), gallery visits, exploration of castles and historic villages, coffeeing in France’s andItaly's most beautiful villages, revelling (and shopping if you wish!) in the local markets: the options are virtually endless! Then meet up for an aperitif and dinner together in our hand-picked unique accommodation and restaurants where you can swap stories of your day’s adventures – the best of both worlds, enjoyed together. 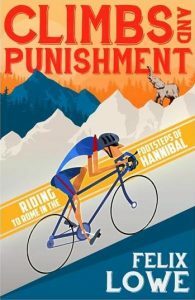 We already have a handful of non-riders signed up for the 10 year anniversary Hannibal in 2019 so we have dedicated a guide and vehicle to make the best of every day on tour. 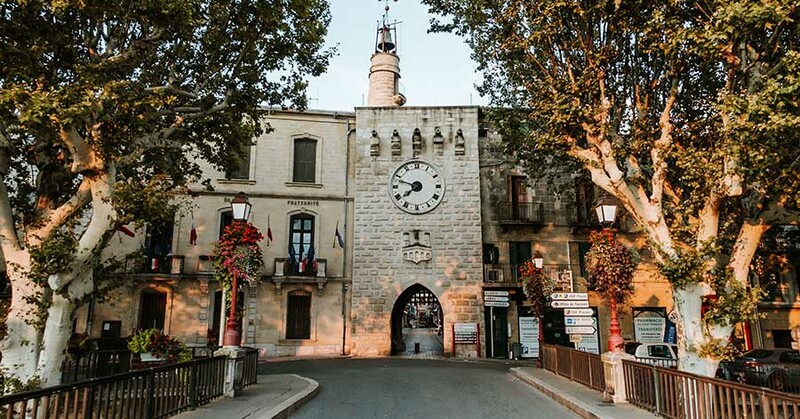 So, for example, while the riders are working their way on Day 1 from Montseny to the Mediterranean coast we will be exploring the Dali Musem in Figueres then enjoying the beachfront at our amazing Hostal Empuries…or exploring the ancient ruins of Empuries with an expert guide. And when the riders are climbing Mont Ventoux we will be visiting the amazing Cistercian abbey Notre-Dame de Senanque then enjoying an amazing lunch and wine tasting at the beautiful village of Crillon-le-Brave (which has a great view of Mont Ventoux!). If this sounds like your ideal trip (or your partner's while you get to ride!) then get in touch and we will send you both the cyclists full itinerary and the non-riders full itinerary. The best of both worlds. Rates are based on twin share. Single supplement = €65 per night. For bike rental options please click here. *Odyssey full distance based on 'standard' Hannibal. The Pyrenean version adds 40km but 4000 metres of climbing! Please note these kms are full for the full day's ride. Options are available every day for shorter and longer distances and support is always at hand if you ever want a lift or break! *Odyssey full distance based on 'standard' Hannibal. The Pyrenean version adds only 40km but 4000 metres of climbing! On Hannibal’s Trail is a six part BBC documentary filmed in Spain, France, Italy and Tunisia. The adventure involved Sam, Ben and Danny Wood bicycling more than 3,500km / 2,200miles on the trail of the Carthaginian commander who fought ancient Rome. The show was broadcast on BBCFour in 2010 and and on BBC2 in 2012. The first episode aired on BBC2 in January 2012 it was viewed by more than 1.5 million people. Due it's popularity, it has been broadcast in over 70 countries by National Geographic Channel and Viasat. Watch the introduction to the documentary below. Note that on the tour there are no panniers or races this was just for entertainment! If you'd like to watch more get in touch with us - hello@bikeodyssey.cc or the check out the BBC On Hannibal's Trail page here. This beautiful, classy hotel overlooks the Mediterranean where we will certainly enjoy a swim after our first day in the saddle! Hannibal also set up camp here on his route north, a fact attested to by the ancient ruins next door to the hotel. 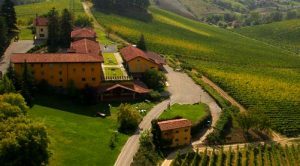 An 18th century farmhouse surrounded by the panoramic vineyards of Monterotondo, in the region of Piedmont, we sample it’s own wines in what is one of the best evenings of the trip. Built in the 11th century for its strategic hill top position this hotel is an exceptional stop with a lovely Spa and pool looking down the valley - but the description should warn you it is at the top of a solid climb! Do you fancy a massage? What could be better after a long day's ride than to have your weary legs massaged back to health? When our groups reach 18 Carla our Soigneur joins the group and every guest will experience this ecstasy 2-3 times a week as part of your tour. The Hannibal is more than a European bike tour, it is a true culinary odyssey hence our samples coming from the great foodie regions of Catalonia, Spain, Languedoc, France and Emilia Romagna, Italy. So much great and well earned food to enjoy! After a beautiful walk along the Mediterranean past the ruins of Empuries we find ourselves in the tiny village of Sant Marti where we enjoy the ‘Chef’s Table’ for genuine Catalan fair on our last night in Spain. One of our favourite stops. This family run hotel and restaurant in an exceptional setting under the Pont du Diable in Olargue. The degustation menu never fails to impress, especially the deserts! After an aperitif overlooking the River Trebbia, where Hannibal had his first major battle (and victory of course) against the Romans we enjoy fantastic local Emilia-Romagna cuisine - a exceptional Italian feast! Catalan food, on the whole, is excellent and very healthy. It is part of the famed Mediterranean diet that is rich in beans, pulses, fish (sardine, anchovy, tuna, and cod), pork prepared in as many ways as you can imagine, vegetables (especially tomato, garlic, eggplant, aubergine, capsicum, artichokes and mushrooms), and olive oil. The essence of all good Catalan food lies in its range of exceptional sauces for fish and meat. And there is always paella. This dish famous all along the coast, is presented in a different way every single time you have it. It is filling and delicious, whether you like it with fish, meat or just vegetables. The Catalan region of Spain has a long winemaking tradition and was the birthplace of the sparkling wine Cava. It was invented in the early 1870s by Josep Raventos of Codorniu Winery in Sant Sadurni d’Anoia. At the turn of the 20th century, the Catalan wine industry led Spain's emergence as a world leader in quality wine production. The area is also an important cork producing region, with output aimed primarily at the local Cava houses. Who does not love a glass of bubbly at the end of a day’s ride? A strong Catalan influence can be found in the Languedoc-Roussillon region, so you will see a lighter style of eating here than in the rest of France. This influence can be found in the regional dishes here such as Brandade which is made from a purée of dried cod wrapped in beet leaves, Crème Catalane (cream with lemon, vanilla and fennel seed) and Morue à la Catalane, a cod dished served with tomatoes and pepper and anchoïade (anchovies with garlic and olive oil). Snails are plentiful and are also prepared in a specific Catalan style known as a Cargolade – grilled in their shells with salt, pepper, and herbs. Seafood forms an important part of the local diet, especially sea bream, mussels, red mullet and squid and are usually flavoured with locally produced olive oil, tomatoes, garlic, onions and aromatic herbs. A regional delicacy from the Languedoc-Roussillon include oysters from Etang de Thau, a spicy fish with aioli, which leaves your mouth tingling with pleasure. For the heartier meal, Gardiane is popular, a beef stew with red wine and served with rice. Fabulous goats cheeses, mushrooms, chestnuts, berries, honey, lamb, game, sausages and pâtés are all local and fresh produce from this area, perfect for picnics on a bike ride. Provençal cooking is naturally tasty and flavoursome, due to the sun-kissed produce that is readily available in this region. The food here resembles more closely the sumptuous cuisine of Italy than Parisian meat-and-potatoes bistro fare. With emphasis on super ripe fresh vegetables, seafood, fresh herbs and a liberal helping of olive oil in every dish, traditional Provencal cuisine blends intense flavors and simple ingredients. Provence is the birthplace of three world renowned dishes: salade Nicoise, bouillabaisse and ratatouille. The first, literally meaning "Nice-style salad," is an elaborate, layered entree with crisp greens, tomatoes, boiled potatoes and haricots verts dressed with vinaigrette, hard-boiled eggs, olives and seared tuna steak. Bouillabaisse, a saffron-infused seafood stew, combines freshly caught Mediterranean fish and shellfish in a luscious tomato broth. It is usually served with a toasted baguette slathered in aioli, a traditional creamy garlic sauce. Ratatouille is simply stewed vegetables, but there is nothing simple about its taste. Usually tomatoes, eggplant, zucchini and onion softened in fruity, garlic-tinged olive oil, it is a dish bursting with deep rich flavours of the vegetables. Wine in Languedoc-Roussillon and Provence. In both these regions, you will have wine aplenty to accompany the delights of their gastronomy. Languedoc-Roussillon wine region has around 700,000 acres (2,800 km2) under vines and is the single biggest wine producing region in the world, being responsible for more than a third of France's total wine production. In 2001, the region produced more wine than the United States. The history of Languedoc wines can be traced to the first vineyards planted along the coast near Narbonne by the early Greeks in the fifth century BC. Along with parts of Provence, these are the oldest planted vineyards in France. Aesthetically, Languedoc- Roussillon wines unquestionably have a personality of its own - wild, unpredictable, characterful, ripe, and lush, with some of the headiest and most captivating aromatic profiles in France. The Provence region sits along the Mediterranean coast of France and is blessed with a fantastic climate for grapes. The region gets lots of sunshine and not too much rain with warm days and cool evenings. The Mediterranean moderates the temperatures and the famous “Mistral” wind keeps the vineyards dry, free of pests and the skies clear. Wine has been made here for over 2600 years with their focus on Rosé and is home to the only research institute dedicated to the style. Piedmont's cuisine is famous for the immense variety of antipasti. The famous bagna càuda begins the meal with pieces of raw vegetables served with a heated sauce of garlic and anchovies in mixed olive oil and butter. The local variation of fonduta is an egg yolk enriched fondue made with Fontina cheese, milk, plenty of butter, and sometimes garnished with shaved white truffle. There is no better way to start a meal. Moving into Lombardy, you will find its cuisine has roots in many different cultures, resulting in extravagant dishes. Lombardia cooking traditionally uses generous amounts of butter, cream and lard, making everything exceptionally yummy! To counter this richness, they eat lots of rice, both in risotto and in soups. The classic dish for Lombardy is the decadent Risotto alla Milanese. This creamy rice dish is heavily enriched with plenty of dairy butter and grated Parmigiano Reggiano cheese and its golden tint is provided by saffron, the most expensive spice in the world. Emilia Romagna region is considered by many to be the culinary heart of Italy. Wheat is grown in abundance here to make a soft wheat, the base for the highest quality homemade pasta. Tortellini, lasagne verdi, gramigna and tagliatelle in Emilia Romagna is unparalleled throughout Italy. You can eat this pasta all by itself, but if you want a local speciality, try Garganelli pasta drizzled with Modena Balsamic and a sprinkle of beautiful Parmigiano Reggiano cheese. You cannot imagine how amazing this simple dish tastes here. In Umbria you have the opportunity to gorge on gelato, and I mean real gelato. Gelaterias using natural products, no artificial flavors, preservatives, or colors. The gelato here is not going to be bright red or purple, unless it is due to fresh fruits. “Gelati d’Italia (“Ice cream in Italy”) is a festival in Umbria that runs for 4 months celebrating the Italian tradition of homemade ice cream, hosting tastings, cultural events, exhibitions and social events in the streets. Match that enthusiasm with a morning on the bike and I know what will be the perfect cool pick up at coffee time. When you arrive in Tuscany you will be faced with only one doubt about the food and that is “What are the foods I can’t miss, what will I regret not having eaten?” So, this is the one dish that is an absolute non-misser for me: Castagnaccio. It is a traditional cake made by a dough of chestnut, water, olive oil, pine nuts,and raisins and baked and is best served with ricotta, chestnut honey or sweet wines such as Vin Santo. It is very common to the Apennine mountainous area of Tuscany. It can be eaten all year round because it’s good both warm and cold, but is a typically autumnal dessert, perfect for our trip through on Hannibal. Do not miss this! The hills in Lazio are rich and fertile making it easy to grow vegetables of all types, making up an important part of the cuisine in this area. Wild vegetables and herbs are gathered eagerly in the countryside along with snails which are a popular dish. They are cooked with liberal amounts of oil, herbs and garlic and more often than not a good portion of anchovies. Pasta features strongly but the bigger, chunkier types such as bucatini and conchiglie are favoured and are not to be missed. The popular pasta sauce arrabbiata, which means 'angry', comes from this region also and is so named because of the flakes of hot peperoncino that are in its rich tomato sauce. If you have tried it elsewhere, try it here too, it will surpass any before it. Italy is home to some of the oldest wine-producing regions in the world, and Italian wines are known worldwide for their broad variety. Romans started the winemaking was prolific and well-organized, pioneering large-scale production and storage techniques like barrel making and bottling. Over 2000 years later, Italy stilI is leading the way. It is the world’s largest wine producer by volume, representing about ⅓ of global production. Grapes are grown in almost every region of the country and there are more than one million vineyards under cultivation. The sun-drenched North-South peninsula embodies pockets of geographical, geological, and climatic perfection for the production of quality wine. Over the last thirty years, some of the best wines ever produced anywhere have come out of Italy: Amarone, Barolo, Brunello di Montalcino and Passito di Pantelleria. 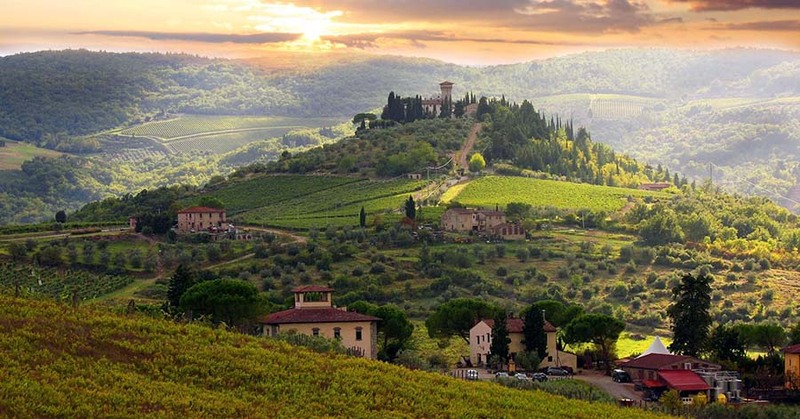 Italian wine information and experiences now sit amongst the most coveted wine regions of the world. 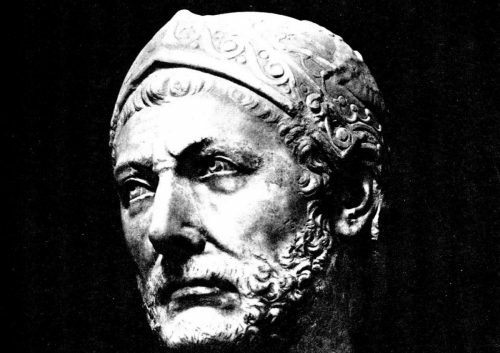 Hannibal Barca is one of the greatest military commanders of all time. As a leader of the ancient superpower, Carthage, he waged a lifelong war against the Romans and nearly destroyed them. 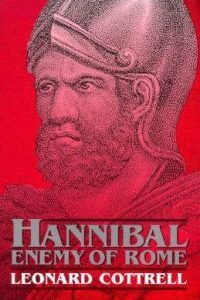 And yet, today we know very little about Hannibal or his people: the Carthaginians. 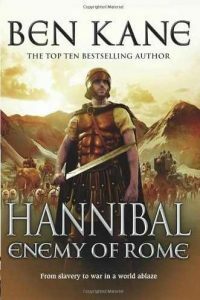 What we do remember is one of his amazing feats: to fight the Romans on their own turf, Hannibal led an army that included nearly forty elephants, over the frozen mountain tops of the Alps and into Italy. That achievement, leading the largest land animal over one of the biggest mountain chains, was just part of an incredible journey that took Hannibal and his force of sixty thousand men from southern Spain, through France, into Italy via the Alps and finally, over the sea and back to the now Tunisian city of Carthage. 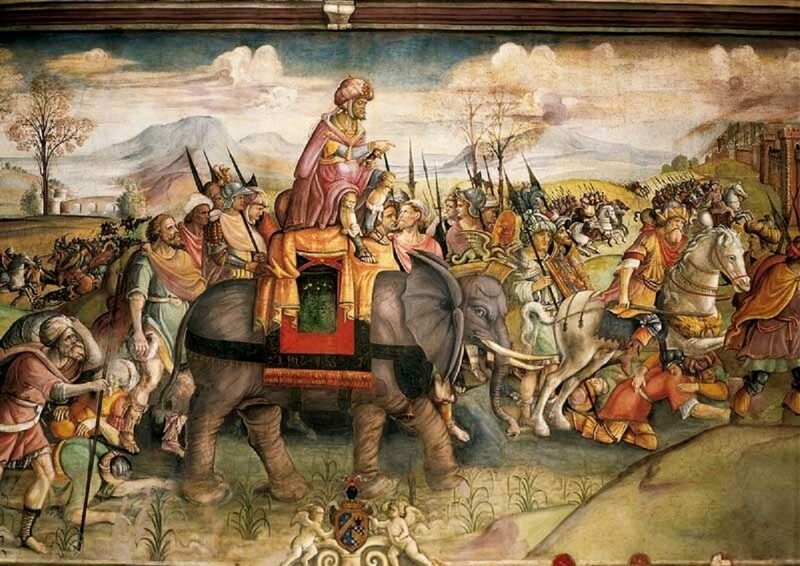 For Hannibal Barca this was a very personal conflict - a family affair. As a boy he'd sworn to his father Hamilcar that he would fight Rome to the death and his top generals were his two brothers, Hasdrubal and Mago. Their struggle was the main event during the biggest and bloodiest conflict of ancient times, the century long Punic Wars (264-146 BC). With Hannibal as commander, it really looked as if Carthage was going to win. European civilisation came so close to being something very different – Rome-free, and yet Rome totally dominates our imagination when we think about the ancient world. When Hannibal lived, things were very different. Ben Kane at his best! Ben has ridden Hannibal before and knows his stuff. 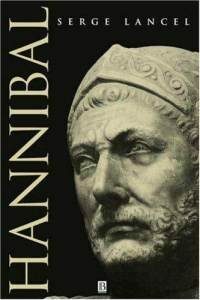 Excellent historical fiction for a great introduction to Hannibal. 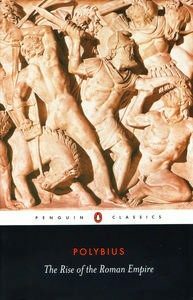 Hannibal by Serge Lancel is perhaps the foremost historical work on the topic. A must read for anyone interested in the period. This fun account of Leonard Cottrell's trip in a campervan over Alps in Hannibal's footsteps back in the mid 20th century is a great and entertaining read. Felix Lowe road Hannibal with Sam in 2014. This lively account of the trip is an excellent read an introduction to life on tour!